The benefits of goat milk are plentiful which makes goat milk a healthy and nutritious alternative to cow milk. Here is my simple guide to the benefits of goat milk vs cow milk, and why you should consider making the switch. 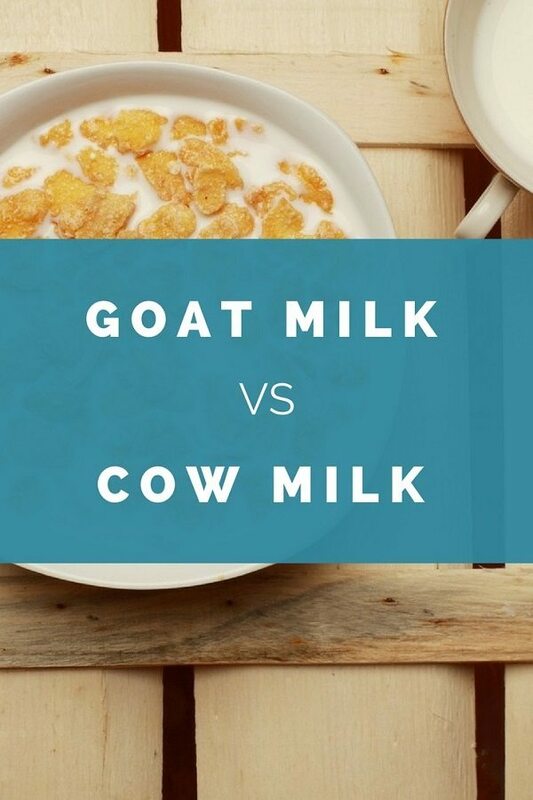 So why would you consider choosing goat milk over cow’s milk? What benefits does goat milk have compared to cow’s milk? 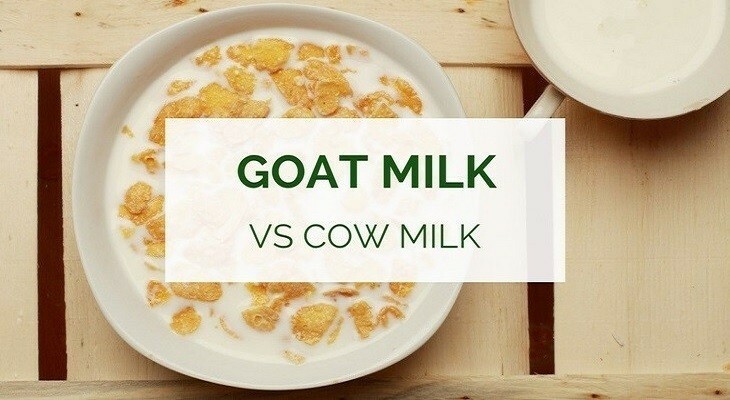 To start with, goat milk is super high in calcium. One cup of goat milk can have around 15% more calcium than a glass of whole dairy milk. This is nearly a third of your daily calcium requirement. Calcium is crucial for growing and maintaining healthy bone structures. Another great reason to choose goat milk over cow milk is allergies. If you have a milk allergy, you might consider goat milk as an alternative. Many people with dairy milk allergies can easily drink goat milk. This is because they are actually allergic to the milk protein casein. Casein is still found in goat milk but at much lower levels, nearly 90% less than dairy milk. Goat milk can be consumed as food or drink, but it can also be used in lotions and soaps for people who suffer from skin allergies such as Eczema. If you are lactose intolerant though, unfortunately you are not in luck. Goat milk, like all types of milk, still contains a fairly high amount of lactose. What Are the Health Benefits of Goat Milk? Let’s have a closer look at some of the main health benefits of goat milk. Goat milk is high in Riboflavin, otherwise known as Vitamin B2. The main purpose of Vitamin B2 is to help your metabolism process carbohydrates and fats to provide you with more energy. Goat milk has finer and softer curds than cow’s milk, making it easier for some people to digest. This is good news for people who may have stomach or bowel issues when drinking regular cow’s milk. The structure of the fatty acids in goat milk also plays a part in better digestion. The fatty acids in cow’s milk are built in long chains, but the fatty acids in goat milk are made up of a mix of short and medium length chains, which are easier to break down and digest. Goat’s milk also contains more phosphorous, magnesium and potassium than cow’s milk. Phosphorus is useful for vegetarians, as it is helpful for processing and digesting vegetables (not a big surprise as goats are vegetarians too, and not fussy eaters!). Magnesium is another mineral which is essential for keeping your body chemistry happy and healthy. According to the Huffington Post, magnesium is an essential ingredient for over 325 enzyme systems in your body. These systems control thousands of important chemical reactions. Magnesium, along with calcium, is a key mineral for maintaining healthy bones. Most people are aware that vitamin D is needed for absorbing calcium. But what is less known is that magnesium assists by converting the vitamin D into its active form, so that it can switch on the calcium absorption process. You hear a lot about getting your potassium from bananas, but goat milk can help you get your daily dose as well. Getting the right amount of potassium in your diet has significant effects on the health of your vital organs like your heart and brain. If you have too much sodium (salt) in your diet, potassium can assist in treating the effects of this. This includes lowering your blood pressure, guarding against bone loss and reducing your risk of kidney stones. Goat milk can be used to ease the pain of a stomach ulcer. Exposure to stomach acid can make ulcers all the more painful, but goat milk can help protect your ulcer from the acid. Goat milk in some studies has shown to have a higher buffering capacity than cow’s milk, meaning it isn’t easily affected when in contact with an acidic liquid. If taken together with an antacid, goat milk can be quite effective in reducing the acidity in your stomach, and the pain of your ulcers. Can You Drink Raw Goat Milk? Like cow milk, drinking raw goats milk is generally not recommended. Whilst raw milk might sound like a healthier and more organic alternative, the reality is that unless you are drinking the milk straight from the goats teat, raw milk can be a breeding ground for bacteria. Your gut cannot always process this very well and it can therefore make you very sick. Is Goat Milk Safe for Babies and Infants? It is tempting to give goat milk to your children particularly if they suffer from milk allergies. But it is important to consult a medical professional before feeding goat milk to your children. Goat milk is definitely not suitable as a substitute for baby formula. There are so many amazing goat milk products out there it can be tricky to work out where to start. Like cow’s milk, goat milk isn’t just limited to food products, it is common in beauty and health products as well. You can get the benefits of goat milk inside and out. 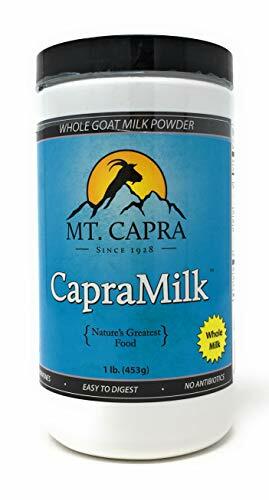 Just like cow milk, goat milk can also be bought in powder form. The benefit of powdered goat milk is obviously that you can store it for longer and use it when you most need it. With no added preservatives, powdered goat milk is a great way to get a good dose of vitamins and minerals in, such as vitamin A, vitamin D, folic acid, calcium and natural protein. I personally have quite dry and sensitive skin which is prone to eczema during winter, so I have to be quite picky about my soap. 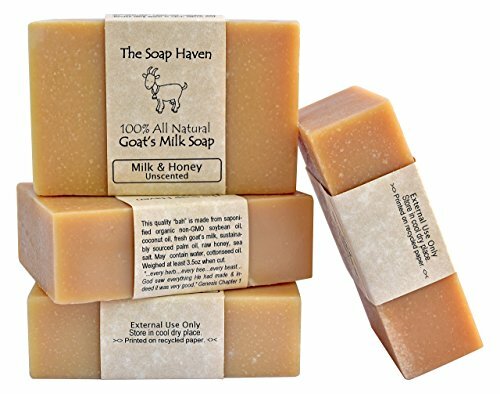 I have found goat milk soap to be not only moisturizing and nourishing, but it also doesn’t irritate my skin the same way many other commercial soaps do. Goat milk soap is available in soap bars, body wash or shower gel, and both provide options will provide you with a beautiful creamy texture on your skin. If you are crafty you can even have a go at making your own goat milk soap bars. The advantage of making your own soap is that you can control the ingredients and the result. Choose your favorite scent, how much milk you prefer and what kind of lather you like. If you want to give it a try, have a look at the Everything Soapmaking Book, which is a good beginners guide to soap making. Just like goat milk soap, goat milk shampoo is another natural product that can do wonders to your body. Make sure you choose raw and organic goat milk, free of any nasty additives, pesticides or other chemicals. Feta cheese is probably the best known goat cheese, and is packed with taste and flavor. A few cubes of feta in salad or spread on crackers makes a boring snack so much more interesting. The two most common types are Greek and Danish Feta. Once you have finished your shower with goat milk, you can use a goat milk cream or lotion to lock the moisture into your skin. As I mentioned earlier in this post, goat milk is less affected by acids, therefore plain goat milk yogurt usually has a less acidic taste than plain dairy yogurt. The health benefit of this is less added sugars or flavoring is required to make a tasty yogurt. Goat milk is an awesome alternative to cow’s milk. Not only are there so many major health benefits, it is similar enough to conventional cow’s milk, that combining it into your regular diet doesn’t have to be a challenge. Not only is goat a delicious and healthy treat, it’s also available in so many other products. Some of these products I use personally, such as goat milk, goat milk shampoo and goat milk lotion, and I highly recommend them. Salt Water Flush for Colon Cleansing – What Are the Benefits and How Does It Work? Very interesting! My one year old girl gets organic goat milk formula from “Holle”, because she had a problem digesting cow’s milk. I didn’t know that goat’s milk had so many health benefits. My partner and I mostly use plant based milk, which is not suitable for our little one. Thank you for your interesting articles, somehow I always come back to this website.